Take for example a free wireless hotspot. You and anyone else can get on this network (Is your home wireless network secure?). With an easy to find program, another user on the network can pose as the host, and all your data will pass right through their computer for easy intercept. Another very common place for this to occur is in hotels. Even though you may have a wired connection, again anyone else on the network can potentially fool your computer into being the host and intercept your data. Of course this is never known to the poor individual who's data is being intercepted, because the fake host is passing through to you the data you've requested (i.e. you still see and interact with the websites). So there's the issue. For most of us right now, it's the threat when accessing the Internet when in a public place. How can you protect yourself? Make sure your data is encrypted when leaving your computer and traveling across the Internet. If your company provides VPN access, that will give you an encrypted path between your machine and the office network -- this is the solution we need. Before I go on, let me talk a bit about VPN and the Internet. So back to solving our problems. If your office VPN will also encrypt your traffic to go on the Internet, then you could use that as a potential solution. Be sure to check with your IT department, as in some cases they only encrypt when you're talking to the office network. Also remember that the folks in the IT department have access to your data -- don't visit any sites that you don't want your company to know about. If the office is out, and you don't want to create your own VPN (more on that later), then you can use a public VPN. I looked at two possible solutions, iPig (iOpus Private Internet Gateway) and HotSpot Shield. iPig will give you 10 Mb of free bandwidth, and then it's $30 for 30 Gb of bandwidth. Though I used the bandwidth in a manner of minutes view some pictures, I did have time to test the speed. 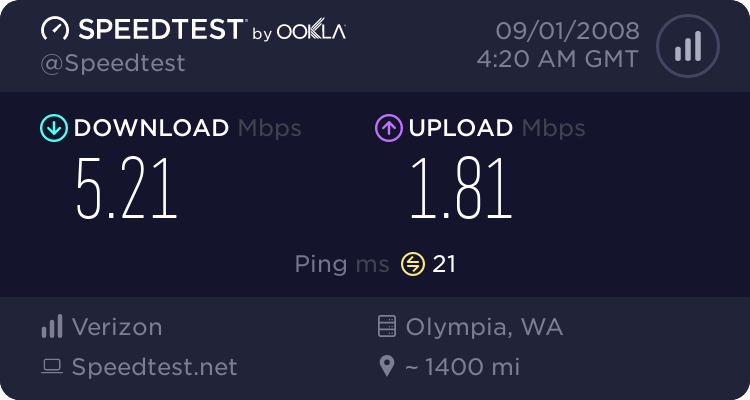 My typical connection speed is 5 Mb/s down and 2 Mb/s up. Using iPig I was able to achieve 3.5 Mb/s down and 1 Mb/s up. It also introduced a lag of about 200 ms (21 ms to 227 ms). 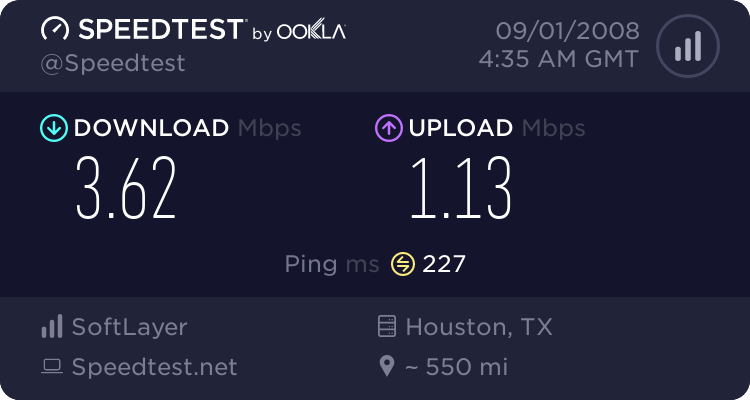 The lag will vary based on how close you are to the iPig servers in Texas. Unfortunately I didn't have any luck using HotSpot Shield -- I could never get it to connect. HotSpot Shield is an ad supported solution and requires your web browser to work. I tried Firefox 3 and Internet Explore 8, Beta 2 several times without success. I even tried re-installing HotSpot Shield, but still had no luck. It does come recommended by LifeHacker and Chris Pirillo, so maybe you'll have better luck. What other options do you have? In addition to searching for other Public VPN solutions, such as PublicVPN or Sonic.net, you can set up your own VPN solution. Of course this wont solve the problem of your ISP allowing your Internet traffic to be spied on, it will work to protect you when you're on the road. What you do is create a VPN to a computer on your home (or other trusted) network, and then surf from there. If you want to go down this path, I would recommend looking at OpenVPN. If you don't want to go through the hassle of setting up and maintaining a VPN Server, try GoToMyPC or something similar. With GoToMyPC, you log into your home computer, and then use it to do all your Internet activity. Again, it doesn't solve the issue with an ISP who is tracking your Internet activity, but in addition to giving you a secure connection, you can work on a PC you are familiar with (yours). It has the added benefit in that you do not need to have important files on your laptop; just access them when required using GoToMyPC. GoToMyPC is $20 p/month. As I mentioned throughout this article, some ISPs are now tracking users' behavior in exchange for money -- what else. Is your ISP in this group? Check out this article from the Silicon Alley Insider, published August 15, 2008. ...seven ISPs have quietly started testing a service from ad-targeting firm NebuAd, which tracks surfers' Web use, with little or no notice to subscribers. Make sure you tell your ISP that you will find a new ISP if they end up on this list. The Washing Post published an article on this back in April, as did the New York Times. Find out about what had started earlier this year in the UK here and here. Finally, if you really want to understand the gory details, Steve Gibson of GRC and the Security Now podcast covers it all in a three-part series beginning with episode 149.